At Three Rivers, helping families obtain and keep basic shelter is very important. That is why so many of our cases involve helping tenants facing eviction, by both private and public landlords. We also provide legal advice for tenants on ways to seek repairs from landlords, to challenge claims on security deposits, and to stop illegal “self-help” evictions by landlords. We also help families with problems involving homeownership. Housing experts from Three Rivers are always available to speak to groups interested in learning about their rights as tenants or homeowners. 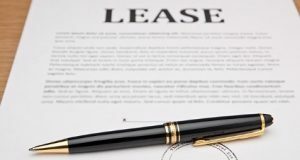 Written leases are not required, but most landlords will provide one, as it outlines the expectations of the tenant. Read the entire document and don’t sign if you don’t understand something. Be sure to keep a copy of your lease. Pay attention to any rules and late fee provisions. Walk through the premises to identify any problems that should be fixed before you rent. Get any repair promises in writing. Oral promises are not enforceable. Florida law requires landlords to comply with building, housing and health codes; keep the roof and other areas in good repair; and keep plumbing in good working order. However, landlords are not responsible for repair of tenant caused damages. The landlord can enter at reasonable times with proper notice to inspect, make necessary or agreed repairs, or supply agreed upon services. “Reasonable” usually means during the daytime, at normal business hours. When you decide to move, give the required amount of notice as stated in your rental agreement and be sure to settle all accounts. Terminate utility service the day you leave, return the keys, and notify the landlord, post office and others of your address change. The landlord is not required to return your security deposit if he has no forwarding address. One of the most important responsibilities as a tenant is to leave the premises in a clean condition for the next occupant. Note any damages in writing and reach a final agreement. It’s a good idea to take pictures on the day you leave, so you can prove you left the premises in good condition. Have another person walk through the apartment with you before you leave, in case you need a witness later. If your landlord fails to do what the law or rental agreement requires, you may be eligible to terminate your agreement or to put your rent aside until repairs are made. You must first notify the landlord of the issue in writing. The landlord has seven days from the time he receives your written request, to correct the issue. For more information, please see the Florida Residential Landlord and Tenant Act, Chapter 83, Part II of the Florida Statutes at: http://www.leg.state.fl.us/Statutes/. This is general information only. If you have a question or are involved in a dispute, please consult an attorney licensed by the Florida Bar.